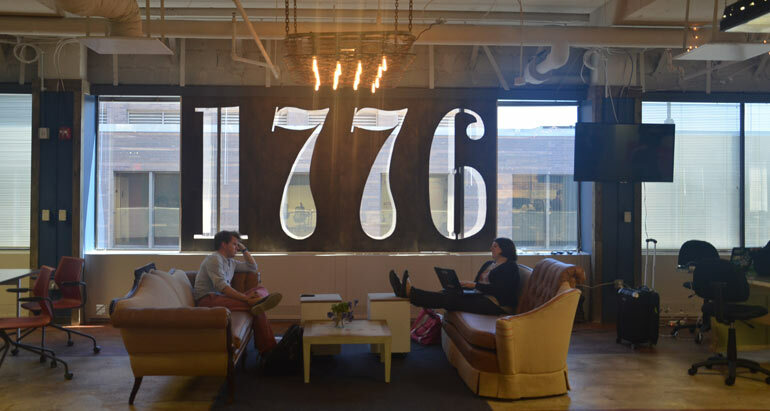 Last week 16 startup accelerators from across the country took the stage at Washington DC’s 1776 coworking space, incubator and home to the Fort Accelerator. Ark Challenge (AR), Socratic Labs (NY), BetaSpring (RI), The Idea Village (Louisiana), Village Capital (GA), Points of Light Civic Accelerator (GA), Venture Hive (FL), Capital Factory (TX), Alpha Lab (PA), MassChallenge (MA), VentureSpur (OK), Brandery (OH), New York Digital Health Accelerator (NY), Springboard Entreprises (DC) and TechWildcatters (TX) all got a chance to pitch the ins and outs of their individual programs on stage in front of over 100 other accelerator heads and staff members from across the country. “Of course it was great being on stage with the other 15 accelerators, but after the pitches we got to mingle and network with even more accelerators and exchange best practices,” Brandery’s GM Mike Bott told us by phone. “There’s such a wide variety of accelerator programs out there today and we got to see a sampling of each one.” The Brandery is often ranked in the top 20 when it comes to accelerators. Their branding-focused program happens in the epicenter of consumer packaged goods and branding. JIAC (Jobs and Innovation Accelerator Challenge project) and Global Accelerator Network member, The ARK Challenge would not be in existence without public funding from the Economic Development Administration and Small Business Administration, so it was an honor to pitch to potential funders during the first-ever National Accelerator Demo Day alongside 15 others. Not only were we able to shake the hands of our SBA partners, but we also connected in person with leadership at programs off the beaten path like the Points of Light Civic Accelerator of Georgia, IdeaVillage of Louisiana and NW Social Venture Fund of Oregon. Leaving the day, it was evident that innovation is geography-agnostic, and accelerator models, by necessity, look quite different from one region to the next, depending on ecosystem maturity. There was much more diversity, a big driver of innovation, than one might encounter at a typical tech conference, which was heartening. With SBA and GAN at the helm, the tone was very welcoming (facilitator Patrick Riley kicked off the day asking the attendees to give two hugs each). Doug Rand of the White House Office of Science and Technology Policy discussed pathways to make immigration more entrepreneur-friendly, shared a visa guide at http://www.uscis.gov/portal/site/uscis/eir and quotes President Obama on the importance of exercising out voices regarding immigration reform. The SBA held a panel on its “CCCI” programs: Capital access, Contracting, Counseling and Investment/innovation. While short in length, the event proved to be fertile grounds for showcasing and learning from each program’s differentiators, making direct asks of foundations and public servants in attendance, as well as strengthening relationships offline at D.C.’s beautiful 1776. Acceleration is a very important tool for startups, especially “everywhere else.” The National Accelerator Demo Day was the first of it’s kind, but there are plans for more events like this in the future. It parallels the kind of collaborative learning and exchange of information events that Startup America (now UpGlobal) puts on with their Regional Champions Summits, where people freely exchange best practices to help build better startups. Are you part of a startup in an accelerator, tell your story, click here.